Cannon Spring Co. (Formerly known as Nyswonger Spring Co.) is located in Oklahoma City, OK and has been owned and operated by spring makers for 35 years. 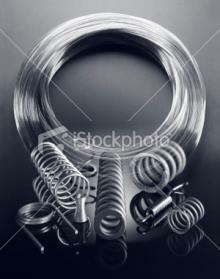 At Cannon Spring Co. we manufacture springs for all industries and applications. When it comes to springs you'll find what you are looking for with us. We have years of experience manufacturing high quality products from a variety of materiels, shapes, and sizes.